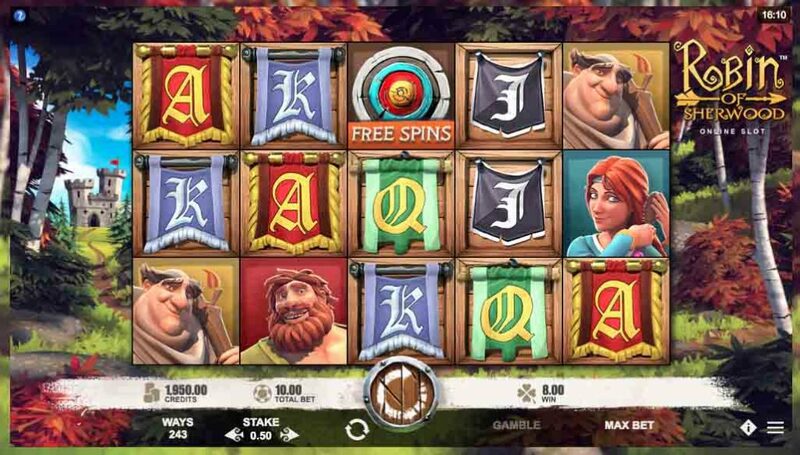 Leading games developer Microgaming has jumped into one of the most famous UK legends with its new slots game. 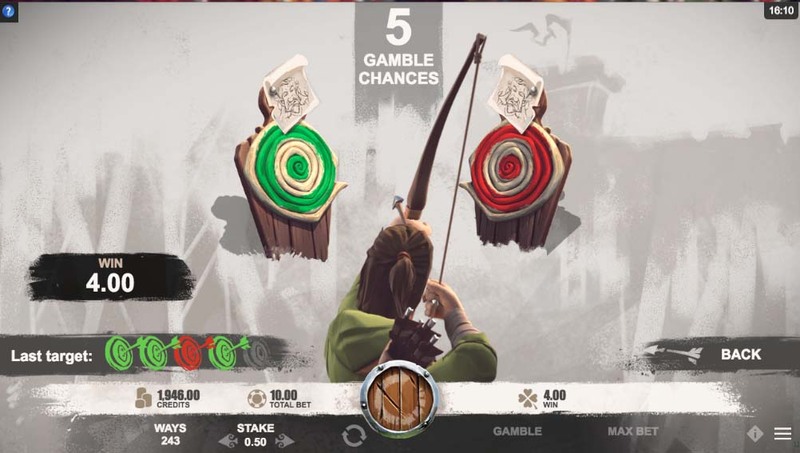 The Robin of Sherwood slot follows the adventures of Robin Hood and his Merry Men as they take on the Sheriff of Nottingham to rob the rich and give to the poor. The new slot game hit Microgaming casinos past week and has already won the hearts of gamers. Rabcat, responsible for Gnome Wood and Castle Builder II, are the brains behind the new game. The firm, which works closely with Microgaming, is based in Austria and is part of the organisation that runs the country’s lottery. It has been creating top notch slots since 2001. The game is available to play exclusively at Microgaming’s partner UK casino sites. You can spin the reels right now at Casumo Casino. Robin of Sherwood is a five-reel, 243 ways to win slot with beautifully created characters and backgrounds. The 3D graphics are immediately striking, and the light birdsong soundtrack eases you into the adventure ahead of you. It is packed with features and offers a top prize of 200 times your stake. You can play from 20p to £40 a spin. Symbols feature the whole gang, with Maid Marian, Friar Tuck and Robin himself all making an appearance. The Robin of Sherwood slot is simple to play. Set your stake and take note of the Total Bet counter to make sure you are at a acceptable limit. Then hit spin and watch the reels do the work. Every time you win, you can gamble it to increase your payout. Hit ‘Gamble’ and a red and a green target appear in front of Robin. Choose one for him to hit and, if he scores a bullseye, you double your prize. You have five chances, but it is up to you when you decide your luck might be about to run out. In addition to the basic game, there’s so much more to the Robin of Sherwood slot. It comes with a host of features to keep you entertained on your jaunt through Sherwood Forest, which could lead to some decent payouts if you’re lucky. 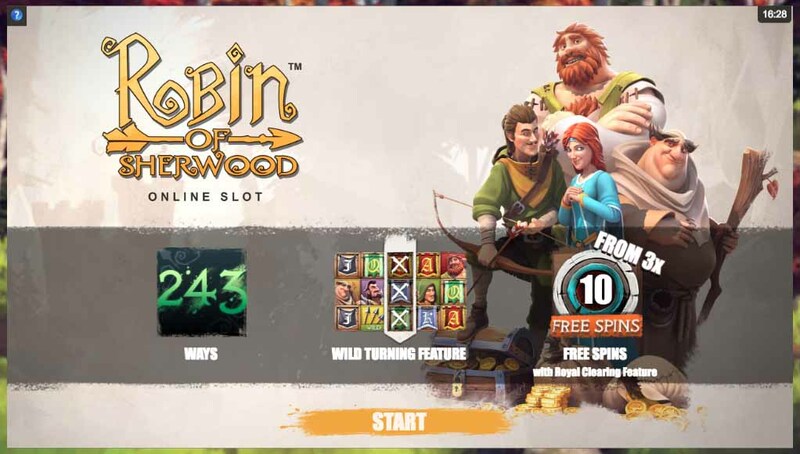 Every good slots game brings with it some free spins, and Robin of Sherwood is no different. Land three or four Scatters, which are represented by the target symbol, and the free rounds trigger. You get ten spins, which are not retriggered unfortunately. However, to make up for that, you do get to take advantage of Royal Clearing. Royal Clearing eliminates the lowest value symbol on the reels after every second spin. This means that, by the end of the round, you are left with only the higher value icons, and are more likely to hit a big win. Another great feature of the Robin of Sherwood slot is Wild Turning. This activates at random and sees Robin command his gang to fire on royal symbols, turning them Wild and helping you complete more winning lines. Robin of Sherwood is a fun slots game with stunning visuals. It’s a joy to enter this world that has been a staple of books, TV shows, films and online casino sites for years. The animation is smooth and the colours are bright and fun. The audio is subtle during normal play, but soon perks up into a joyous fanfare when you land a win. If two Scatters appear early on the first couple of reels, the noise of a crowd’s eager anticipation really heightens the excitement about possibly finding the third to activate the free spins. The twang of the arrows on the Wilds is also fun and in-keeping withe the theme. Overall you will enjoy this romp through the woods. The prizes aren’t particularly huge, but the wins keep rolling in, so you should have plenty of time to enjoy it. The gamble feature can also add to your bankroll if you have the nerve and a heap of luck. Microgaming is on a bit of a roll at the moment, releasing some top quality games. The Robin of Sherwood slot follows Wild Scarabs, an Egyptian adventure released last month. The Isle of Man headquartered firm is working with some of the best brains in the industry to create a range of excellent online slots. It recently unveiled a partnership with Stormcraft Studios to produce games. That hook-up has already produced the steampunk adventure Fortunium, with the promise of more to come. Microgaming is also responsible for a range of massive slots games. These include the Norse mythology based Thunderstuck II and Hollywood film tie in Jurassic World. For more details about this online casino powerhouse, take a look at the Microgaming page.